Here is the next decoding activity! I made an activity to go along with Flip the Dolphin. Flip the Dolphin reminds students to flip the sound if the word doesn't make sense. 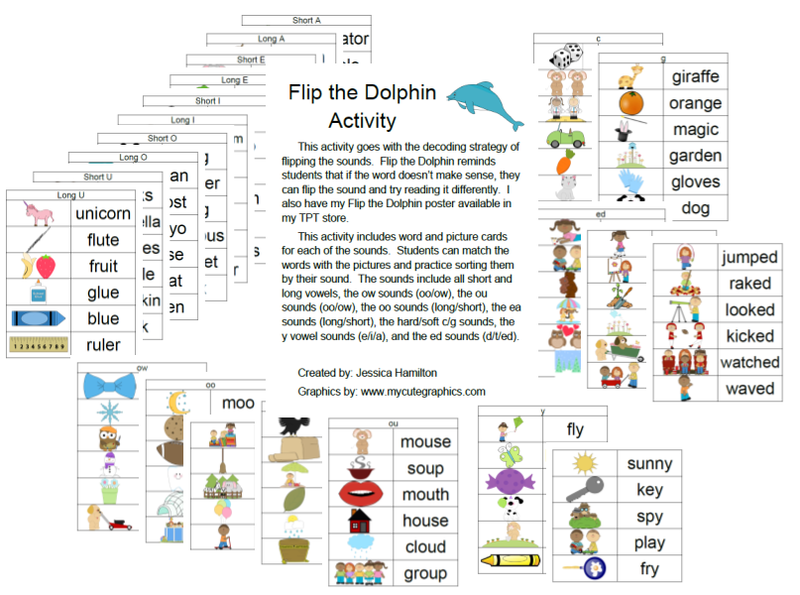 The Flip the Dolphin poster reminds students of the letters that make multiple sounds: vowels, y, oo, ow, ou, ea, ed, c, and g. The activity I made to go with this strategy includes all of these sounds. It includes word cards and picture cards that the students can match and sort by the sound. You can pick up a copy here.